Our 50-plus-year legacy of developing a sweeping portfolio of space flight and launch simulation technologies makes us capable of meeting the myriad needs of our government and private sector partners. From basic engineering and evaluation services to large-scale project management, NTS is a leading provider of services and engineering solutions for Space and Satellite testing. 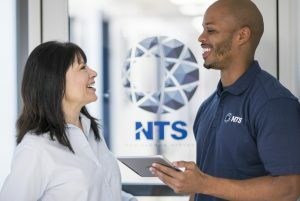 NTS operates a national network of test laboratories and engineering centers, offering a vast array of technical capabilities to meet the needs of the commercial and governmental space industry. These laboratories are accredited by A2LA and NVLAP to ISO 17025 for a wide range of aerospace industry standards. What Is Aerospace Propulsion Testing? Aerospace propulsion testing involves programs that measure the effectiveness of an aircraft or spacecraft’s engine and thrust systems. We utilize space simulation testing and other programs to establish an engine’s reliability and compliance. Propulsion testing becomes critical for successful spacecraft operations, both crewed and uncrewed. Spacecraft require functioning propulsion systems to achieve their intended purpose. Due to the differences in pressure, humidity and temperature in space, space propulsion testing requires simulating these conditions. At NTS, we have access to a state-of-the-art rocket testing facility that enables us to replicate the environmental demands of space. During the initial development phases, we use static testing to search for faults and defects in a spacecraft. Static tests allow us to focus on engine performance without movement as a confounding factor. We then move on to programs conducted within our thrust measuring system (TMS). The TMS includes water-cooled ducts that can handle up to 50,000 pounds of thrust that reduce sound levels during testing. Our team can conduct additional testing on engine components in pressure vessels, valves and components that simulate extreme conditions. NTS San Bernardino also includes facilities for renewable energy, navy nuclear, high pressure/high flow and oil and gas testing. These capabilities allow us to provide clients working on multidisciplinary projects with turnkey solutions. We can conduct additional testing in one of our other locations throughout our North American network. As with spacecraft, satellites require extensive space simulation testing before project execution. Select NTS locations serve as national satellite test facilities that support our clients’ satellites throughout their lifecycles. Satellite testing from NTS involves careful inspection and precise program execution for all satellite components. These include transmission equipment, antennas, fuel cells, solar panels and batteries. We offer additional services for a wide range of components, systems and devices used in large-scale programs. The versatility of our services allows our clients to request a solution that accounts for multiple project aspects. With advances in technology, the government and corporations alike rely on satellites. The U.S. military counts on satellites for navigation, communications and intelligence gathering. Meanwhile, companies use them for telecommunications and radio applications vital to our society. Satellite manufacturers must create a reliable product that supports these critical functions. Testing ensures that the final product will achieve its intended purpose while in Earth’s orbit. During satellite testing, the professional conducting the test programs must consider every contingency. Once a satellite is in orbit, it must work at peak performance it will stay out of reach of repair. Since large-scale programs like satellites involve large amounts of money and effort, the manufacturer has much to lose from product failure. Qualified organizations such as NTS can conduct testing programs that leave no component unchecked. 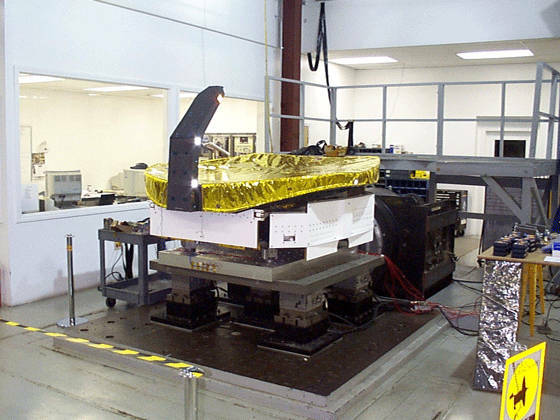 We have decades of experience working with sensitive satellite parts designed for critical programs. Our team understands how to simulate extreme space conditions while leaving equipment intact. At NTS, we know that a satellite launch has no room for error. In addition to large, traditional satellites that are bound for geostationary orbit — or GEO — and are expected to operate reliably for a decade or longer, today’s new wave of small satellites comes with many promises — as well as a host of new challenges for manufacturers and investors. Since small satellites stay at low earth or medium earth orbit — LEO/MEO — and have life expectancies of anywhere from a number of weeks to four years or more, they raise various financial and physical questions that testing can help with. With more than five decades of space and satellite testing experience at NTS, we’re fully capable of designing tests and performing environmental testing of small satellites in a manner that simulates the types of radiation and solar effects these satellites will be exposed to at LEO/MEO. Small satellites are creating a tipping point for new commercial ventures as well as academic research, and our vibration testing of small satellites can help spot problems before they occur in orbit. In contrast to large satellite projects that can take years of planning and testing, small satellite projects require a more nimble approach to planning and testing — and one that our dedicated team of professionals at NTS understands implicitly. From new dynamic challenges posed by sharing launch vehicle space to testing the latest in micropropulsion technology, small satellites and NTS testing services are poised to make substantial breakthroughs in this new, exciting era of space missions. 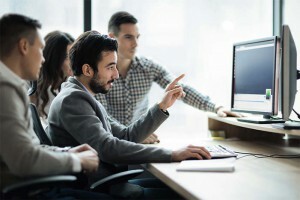 What used to be an environment reserved for a few large organizations and governments is now opening up as one of the most promising areas for new technology, exploration and research. Let NTS — with our A2LA and ISO 17025 — accreditations be your trusted small satellite testing partner. Once spacecraft and satellites enter orbit, they must withstand the harsh conditions experienced in space. In space simulation testing, NTS specialists use advanced chambers to imitate space’s temperatures, pressure and humidity. With results spanning to the beginning of U.S. manned space exploration, we understand how to prepare equipment for space travel. We have multiple locations throughout North America that feature facilities geared toward space simulation testing. Our customers in the aerospace industry may choose among options available on the East and West Coasts. Your project may require multiple precision cleaning methods to remove all contaminants. Our team inspects cleaned components on the basis of visual cleanliness, particle count and presence of non-volatile residue. 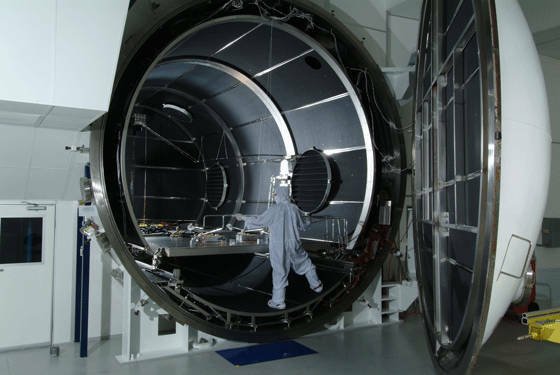 During these processes, they also evaluate parts for their compatibility with spacecraft systems. NTS cleaning specialists also utilize multiple drying methods to prevent outgassing and residual moisture. Our clients may request specialty packaging designed to mitigate risk during the storage and transportation of sensitive components. We can utilize three or more layers of protection as we seal and package the final result of the cleaning process. Most of our standard procedures involve up to three layers, and we can accommodate projects that require more barriers. Organizations in need of cleanroom facilities to conduct their own testing may rent our Class 10,000 cleanroom or Class 100 flow benches. We offer these facility rentals in half- or full-day increments with the option to include support from NTS technicians. You may also request functionality testing after the completion of cleanliness verification. When you develop a project meant for use in outer space, you need results that promote efficiency, safety and compliance. Our verification and inspection services ensure a final product that achieves your program goals. The dedicated facilities at NTS have more than 50 years of demonstrated results in aerospace testing. We have achieved certification according to the American Association for Laboratory Accreditation (A2LA)’s ISO/IEC 17025 standards. Our team can provide comprehensive compliance services for MIL-STD-810, MIL-STD-202 and RTCA DO-160 standards. In the international market, we can assist in pre-compliance management. MIL-STD-810 testing evaluates a product’s life cycle in the face of rugged environmental conditions. By replicating the effects of the product’s intended environment, the test allows for the collection of in-depth data. During MIL-STD-810 testing, the manufacturer determines the product’s reliability and compliance. Clients may choose from 28 MIL-STD-810 testing methods meant to replicate a range of conditions. MIL-STD-202 testing examines a piece of equipment’s electrical parts that weigh under 300 pounds. It outlines the test protocols used for all components and products featuring printed circuit boards. The test methods featured in MIL-STD-202 involve environmental tests, physical characteristic tests and electrical characteristic tests. RTCA DO-160 encompasses the procedures required for aircraft. These tests evaluate the performance of airborne equipment used in aerospace operations. NTS specializes in a wide range of customer-specified engineering projects including testing, inspection and certification. Our multidisciplinary team serves multiple industries with our robust portfolio of solutions. For a custom aerospace engineering quote,contact our engineers online and generate a free estimate. One of NTS’ most diverse facilities, this laboratory performs a wide array of testing in the environmental, EMI/EMC, mechanical, material, dynamic, and product safety test disciplines. It has extensive assets and an equipment base that has continued to grow over the past forty years. Equipment includes a 28′ centrifuge, electrodynamic shakers such as the UD T2000 and UD T4000, drop towers and multiple climatic chambers. NTS Fullerton offers additional testing in telecommunications and fiber optics for multidisciplinary projects. 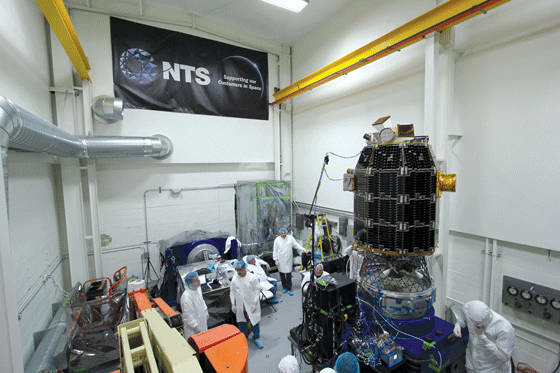 NTS LAX is a leading satellite technology test center and precision cleaning provider. LAX offers a suite of environmental and dynamic testing and expertise and is able to support both commercial and military test programs. The team at LAX creates custom fixtures and chambers that replicate a full range of space-related conditions. You may request custom testing for mechanical and electronic devices such as batteries, solar panels, composite antennas and fuel cells. LAX provides extensive precision cleaning for Component parts, assemblies, piping, pressure vessels, heat exchangers and an array of other space hardware. Additional programs include cryogenic testing, deoxidation, pressure testing, pickle and passivation, helium leak testing and vacuum bake-out. These tests make up just a few of the incredible number of ancillary specialized services provided at LAX. 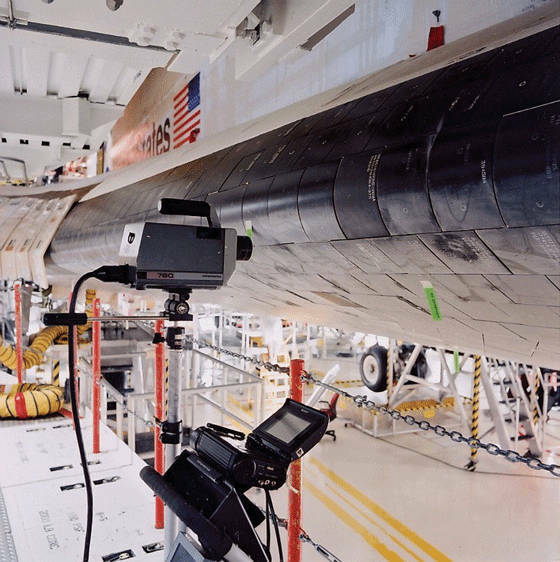 NTS has successfully partnered with NASA on such projects as the CloudSat Cloud Profiling Radar Antenna Subsystem for Force Limited Vibration testing, a method which was chosen to protect the lightweight design of the unit. Testing was successfully conducted in one week, with data acquired in real-time enabling the report to be ready at the conclusion of the test. NTS San Bernardino is a rocket and high flow, high-pressure fluid test facility located at the San Bernardino International Airport. We provide a full complement of test services ranging from valves, pumps, cryogenic components, flow control devices, manifolds, airborne/structural noise testing, couplers and more. This site is staffed with experienced personnel with excellent safety and performance records. The facility complies with ASME and APPI power piping codes, with all ASME-coded pressure vessels commissioned for use in California. This unique laboratory was built in partnership with the Air Force Research Laboratory at Edwards Air Force Base who provided funding for NTS to build a new small scale Rocket test facility under the JRETS (Jet and Rocket Test Facility) contract. Under that contract, the former assets of Wyle’s Norco facility were combined with government assets formerly located at the Rocketdyne Santa Suzanna test facility to form a world-class fluids test center. NTS is currently supporting research and development on new supercritical CO2 combustion cycles as well as multiple Space Launch System programs. Covering more than 150 acres, NTS Santa Clarita features one of the United States’ largest testing facilities. It includes advanced equipment such as a centrifuge 50′ in diameter with more than 200 slip ring channels. The Santa Clarita facility also has a 1,500-cubic-foot space simulation chamber and 5,000-cubic-foot acoustic chamber. In the vibration test facilities, you can find more than a dozen hydraulic and electrodynamic shaker systems with ratings up to 70,000 force-pounds. The Santa Clarita space simulation facility meets demanding standards involving temperature, altitude and humidity. Our testing environments range from temperatures of -70°F to +350°F in chambers up to 28’ x 16’ x 15’. We provide pressure, temperature and flow capabilities to meet extreme testing environments with gas and liquids. 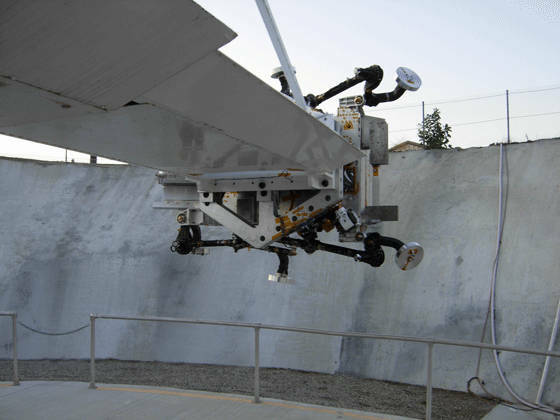 NTS Santa Clarita has supported NASA and other organizations on major programs including LADEE (shown below), Space Shuttle, MX Peacekeeper, THAAD, International Space Station, EELV and Mars Rover with services such as climatic testing, environmental simulation testing, space simulation testing and hazardous vibration and acceleration. NTS Huntsville has provided extensive support to NASA, including flight qualifications testing on the Saturn 1B instrument unit and other extensive testing on the Saturn/Apollo programs. In 1985, as Wyle, the Huntsville team design, developed and activated a firing stand for Space Shuttle Solid Rocket Booster “Short Stack” for SRB O-Ring Design Requalification program. In addition to these space testing centers, NTS has facilities in Massachusetts, New Jersey, Florida, Illinois, Texas, Arizona, Michigan, Maryland, Indiana, Arkansas, Kansas and Virginia, which are ready to provide a variety of environmental and dynamic simulations and analysis to help ensure the safety and security of space and satellite programs.